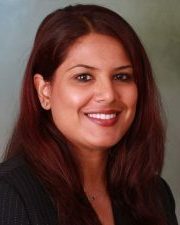 D. Sharmin Arefin is based in the firm’s Atlanta office. She focuses her practice in the areas of consumer protection defense, regulatory compliance and employment litigation. Sharmin has substantial litigation experience regarding claims arising under federal and state consumer protection statutes. She also has significant experience in the areas of automobile advertising and sales practices, mortgage related repurchase demands and litigation, contested foreclosures, and employment related investigations and litigation. Sharmin served as a Deputy Attorney General for the State of New Jersey where she represented the state in both litigation and non-litigation matters, including mediation, on behalf of the New Jersey Division of Youth and Family Services (DYFS). She was the first Deputy Attorney General assigned to lead the Essex County Family Drug Court Pilot Program. Sharmin then served as a Staff Attorney for the Georgia Governor’s Office of Consumer Protection where she directed investigations and enforcement actions under the Georgia Fair Business Practices Act. For several years before joining Maurice Wutscher, she practiced in the mortgage lending litigation and regulatory compliance fields with a well-known mortgage lending law firm. » The Hiring Process, Employment Law Update in Georgia, May 2013. » “Issues Affecting Buy Here Pay Here Dealers,” GIADA Independent Auto Dealer, November-December 2012. Sharmin is a member of the Automotive Resource Network, serving as a committee chairperson in 2015. She currently serves the American Bar Association as a committee director and member of the Editorial Board for Business Law Today. She is a member of the ABA’s Young Lawyers Division and is Chair of the Diversity Task Force for the Business Law Section’s Consumer Financial Services Committee. She also belongs to the American Bankers Association, the national Mortgage Bankers Association and RMA International. Sharmin received her B.A. in Political Science and Sociology from Rutgers University and her J.D. from Seton Hall University School of Law. She is admitted to practice law in Georgia, New York, New Jersey and the U.S. District Courts for the Northern, Middle and Southern Districts of Georgia, the District of New Jersey and the Southern District of New York.